I love “guides.” I figured since March is right around the corner I should compile a little sumpin’ sumpin’ for all of you gals eager to get your spring on! 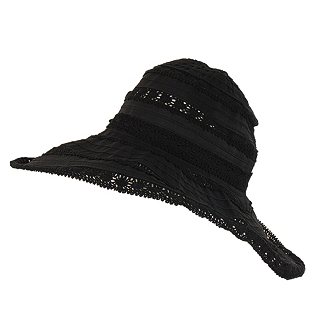 Floppy hats are not only fabulous for protecting your face from the harsh UV rays spring will inevitably bring along, but it’s also PERFECT for any Kentucky Derby mixers you may or may not be attending! I love braiding my hair and making it into a headband however it’s tedious and it’s only been perfect once in my many attempts. Sephora has a fabulous option if you’re in a rush or have little patience. 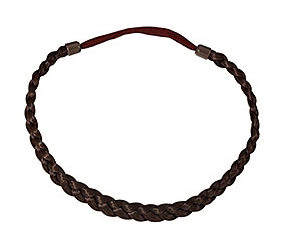 Also, at the mall yesterday I found a really great braided headband at Forever 21, but it wasn’t a natural hair color — it came in black/gold and white/gold and was very hippy chic. I cannot find it on their site (I’ve searched!) but if you happen to have a Forever with a huge accessories section then they probably have it. My roommates can testify that although my car may look like a complete mess, it ALWAYS smells good. For winter I had a lovely pine scent and now I have Sweet Pea. It’s refreshing to get in your car and have it smelling fresh; even better when it’s not the result of a tree-shaped air freshener hanging from your review mirror. The Scentportable makes scents well-hidden. I absolutely LOVE these pants. 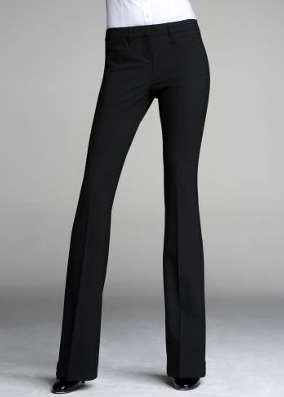 They elongate the legs which is excellent since I’m lacking in that department and they fit great – I have a big booty (this isn’t news to most of you) so finding pants is a serious struggle for me because I always have problems. If the waist is perfectly fit, the legs are too long; if the legs fit great within my thighs, the waist is too high/too big, etc. Ladies if you have this problem I promise you that Seven for All Mankind or Joe’s Jeans will have a great alternative for you, however you’ll be paying upwards of $200 (the horror of buying designer jeans). Express does have a great jean though that has helped me with my budget and their fit is spectacular. Anyway, these pants make it WORK. The pockets aren’t on the side so they don’t give your hips extra inches which is something I’m always against considering I have enough hips for everyone, thank you. I personally favor the Signature Stretch type. 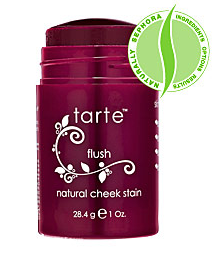 Cheek Stain is great for anyone who doesn’t want an overly-powdered look. Spring and Summer means minimal make-up for me; think tinted moisturizer (Laura Mercier has a great one), flirty mascara, pink lips and a cheek stain. If your face gets oily and you use a mattifying powder, cheek stain allows your cheeks to look flushed without applying more and more powder onto your face — especially if you use a powder bronzer.I know the price is steep, but you get a lot of it and it lasts you for years (literally). Mine that I bought in 2008 just ran out last October. Most of us haven’t seen the light of day since last summer, so we’re due for a proper bronzing before we get into any type of swimwear this spring. You have two options: tanning beds or airbrush tanning. 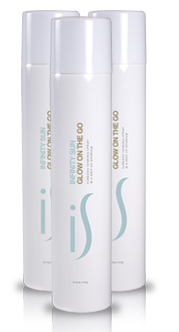 With all of the drama surrounding the tanning bed business I would recommend going UV-free with Infinity Sun. I know my stuff when it comes to airbrush tanning and this stuff is AMAZING. The formula lasts seven days and it’s awesome – not orange or blotchy. The great thing about Infinity Sun is that the solution has a greenish tint so when you apply it it develops more of an olive tone instead of Oompa Loompa orange. I encourage everyone to stay away from any of the sunless tanners you see at Target or Walgreens… you will be sorry. As far as the application goes, do it in a bathroom with a shower. Hang up towels if you don’t want the walls to get sprayed and turn on any vents if you have them. Grab a friend and make it a duo application so that you can each get each other’s backs. I’d strongly advise a friend with a good aesthetic eye, i.e. perhaps she makes beautiful cakes, paints/draws well, make-up and hair always looks nice. Don’t try this with the friend who can barely write her name or apply a decent coat of mascara. You need someone who can control the can and understand the concept of distance; if the can is too close, you’ll streak. If the can is too far, you won’t get it on evenly. Most people mess up the most because they’re scared of the tan. Don’t be afraid! Go for it and make sure pay particular attention to not overdo the elbows, knees, neck or chest. Last thing on this topic: I know I probably shouldn’t say this but here goes nothing. If you are going on a vacation to a tropical island in two weeks, I’d strongly recommend hitting up tanning bed asap. 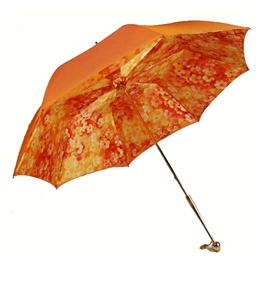 If you plan on keeping covered and using SPF out the wazoo, ignore that comment. However if you want to go to Cabo and get the best tan of your life you’ll end up being burned and worse for it if you don’t slowly start exposing your naked-white skin to the light of day. If you choose to hit up a tanning salon, I’d start with very low times depending on your skin tone. Never start at 10 minutes unless you’ve been tanning year-round. Definitely start around six minutes (even four if necessary) and gradually improve your time; wear a lotion meant for tanning beds, not the crap they sell at Rite Aid. Then moisturize, moisturize, moisturize after your tanning bed sesh to ensure your skin stays hydrated and your tan will last. As you slowly increase your time in the bed, you’ll get exposure to UV rays without frying your skin to a crisp and you skin will better accept the rays at the beach. I always recommend wearing SPF 30 or higher on your face and at least SPF 50 on the rest of your body. Next PostNext Guess what hoes?